The proliferation of high-speed home Wi-Fi connections and cell phone networks, and the miniaturization of complex equipment, have made today’s security camera systems versatile and affordable. That’s the good news. The “bad” news is that with so many options now available, choosing the right system for a home or business can get complicated. There’s no reason to get overwhelmed. This guide will walk you through the possibilities and help you find the right security camera equipment and setup for your needs. Perhaps the easiest decision to make is whether you need a commercial-grade or consumer-grade security system. A commercial-grade system is designed specifically for business and industry – not necessarily because of what it does, but because of what it is: durable and high-quality. Consumer systems are built to be relatively inexpensive, and that’s reflected in their lighter, lower-quality components and software. Most can’t be upgraded, and won’t endure long-term use the way that commercial systems can. Consumer-grade equipment is more affordable and easier to set up, and even though the cameras may need replacement from time to time, the system is more than sufficient to provide full protection for most homes. Older readers may remember the grainy, slow-moving video that old-fashioned, wired security cameras sent to black-and-white monitors in the 1970s and 80s. But even ground-breaking wireless IP cameras, which became widely available in the 90s and are still the standard for many unwired commercial installations, are considered “old school” for today’s smart homes. The most modern home security cameras work on cellular phone networks instead of home Wi-Fi networks with limited range, allowing much more flexibility in placement. They can be monitored or adjusted on apps installed on smartphones or laptops, and can interface with popular smart home suites. Cloud storage of captured video is a snap. And they allow live streaming from anywhere in the world. Some even respond to voice commands. Older-style wireless IP cameras, or even CCTV wired systems, are still extremely effective and used in many commercial installations or large homes. However, you can’t beat the convenience of the new models or the appeal of wireless video intercom systems when wiring and installing your own home security system. Wired or Wireless Security Cameras? There are certainly advantages to fully-wired security systems. They are invaluable for businesses or luxury homes which require nearly 100% reliability (no downtime due to network outages) and live, simultaneous monitoring of numerous locations. They are generally more secure and less apt to be hacked or suffer signal interference; assuming backup power is available, the only way wired transmissions can be interrupted is if someone manages to cut the cables. And wired security systems are the only way to place fully-featured control panels, monitoring many high-end HD feeds, in more than one room. There are definitely drawbacks, though. These systems are expensive and time-consuming to install, requiring cables to be run throughout buildings’ walls and/or ceilings. Their cameras are basically permanent, since new cabling would have to be run to any new location. There’s usually no ability to monitor cameras from remote locations, since feeds terminate in a central location and special equipment is required to create remote feeds. Finally, the cables are able to be cut by experienced burglars, disabling the system. The negatives of wired systems make the advantages of wireless systems clear. Installation is easy since there’s no drilling or cable feeding required, and cameras (or a complete system) can be reoriented or removed completely with very little work. Remote accessibility and programmability are major pluses, particularly for those who spend the day at work or travel extensively. They’re also perfect for the growing number of smart homes controlled from a single app or control panel. Arguments against wireless systems using IP cameras include limited transmission range, the need to change camera batteries regularly, and the fact that tech-savvy burglars may be able to interfere with or hack into the systems. Which is the better choice? We’ll let you know as soon as the argument over Apple vs. Microsoft is settled – seriously, there’s no right answer. There’s just a “right answer” for your needs and property, and this guide has hopefully given you the key guidelines to make that decision. Whatever your decision, Cmple offers a wide range of products that can fit perfectly into – or provide the foundation of – your own security camera system. 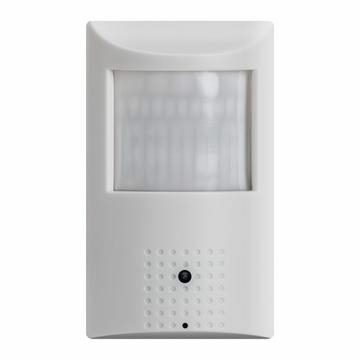 Cmple’s 2.4 Megapixel HD Motion Detector Camera: the 1080p high-def feed from this wireless camera supports all major video protocols, performs very well in low-light conditions, and provides real-time transmission at distances up to 65 feet. Cmple’s Video/Audio Intercom Entry System: the panel containing a high-resolution camera (with adjustable angle), and color display and audio intercom system, is designed to be installed adjacent to an entry spot for two-way surveillance and interaction, along with an interior monitor and a door unlocking function. Cmple’s 3-Apartment Video/Audio Intercom Entry System: similar to the previous item, this provides similar monitor panels and interaction for three separate apartments or three doors in a home. Cmple’s 4 Megapixel Fixed Lens IP Network Camera: a plug-and-play, low-profile dome camera ideal for outdoor placement in any commercial or home environment, with true day/night video capability audio input/output, and free apps that work through a NVR (network video recorder) for monitoring on phones and tablets. Cmple’s Indoor/Outdoor Security Bullet Camera: this is a high-res camera that’s fully waterproof and housed in a vandal-resistant casing, providing perfect infrared color feeds during the day and switching to reliable black-and-white imaging at night. 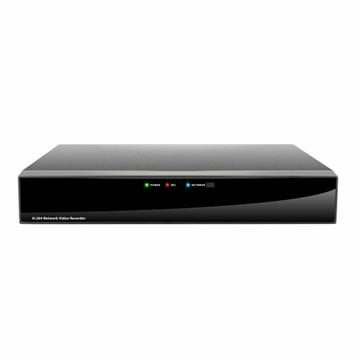 Cmple’s 32-Channel Full-HD Network Video Recorder: the fully-featured NVR can handle up to 32 cameras at one time, supporting dual streams for mobile monitoring as well as in-house monitoring and recording with smart hard drive management to ensure maximum performance. There are many big names in the closed-circuit TV and smart home security industries. Netgear, Logitech, Lorex and Uniden are well-established brands for CCTV security, while you’ll often see praise for smart home security products by Vivint, Nest, Abode and Ring Alarm. It’s always a great idea to buy high-quality products, but you’ll often find that you’re paying extra for the brand name when nearly-identical models are available at lower prices. That’s where Cmple stands out. Our home security cameras, monitors and recorders are on a par with those popular brands when it comes to performance, but will provide the same level of security and peace-of-mind, without busting your budget.